How can targeted transformation be achieved in the most needy rural areas of South Africa? The wind power industry is a case study in meaningful intervention. The Independent Power Producers’ Implementation Agreements (IAs), part of the power purchase agreements (PPAs) signed as a last step in the procurement process require clearly outlined and quantified actions by the parties to the agreements. These actions are aimed at developing rural communities and providing skills development. Wendy Parsons, chief financial officer at Kouga Wind Farm in the Eastern Cape, says, “We have to spend a legally agreed percentage of our revenue in communities within a 50-kilometre radius of our plant.” Kouga committed itself to several specific neighbouring communities, such as the village of Umzamowethu and Sea Vista, adds chief executive officer Lukhanyo Ndube, and sought projects ranging from health, education and recreation to skills development. 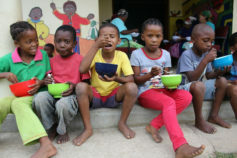 The company has spent over R12 million within their chosen communities since 2015, with interventions targeted at specific needs – for example, off-road vehicles for the St Francis Hospice, a rebuild of a fire-devastated crèche in Humansdorp, a computer laboratory with 25 solar-powered computers for a local primary school, and a R4 million library requested by a local community. But to have a long-lasting effect, Ndube says the most important intervention is to re-orientate mindsets in these desperately poor communities. 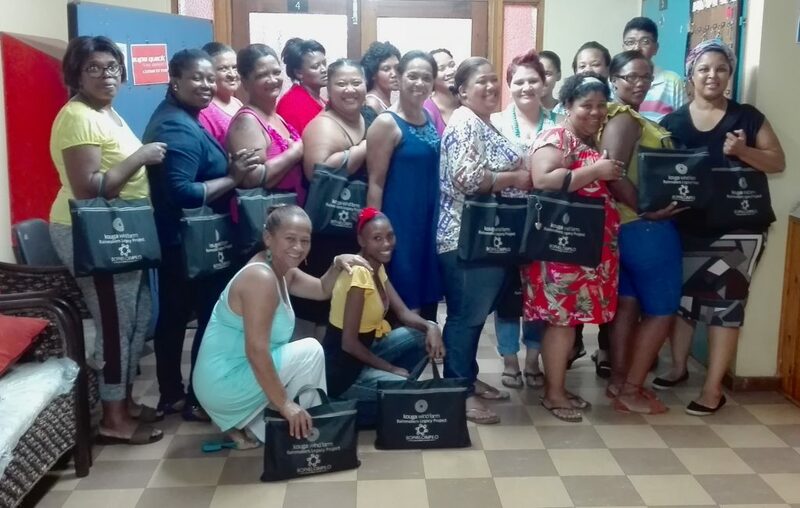 Boosting self-confidence by empowering community members with practical knowledge and skills – and specifically women – was a cornerstone of the Kouga strategy. During 2017, Kouga’s small team developed a programme which began, says Parsons, with a project for Women’s Day, but evolved into something much bigger. “We rolled out a series of workshops on finances, health and nutrition, exercise, personal development and parenting. We held five workshops in each of the four communities during August and September last year.” Over 120 women volunteered to become ‘Rainmakers’ who would proactively spread the ideas and the spirit far and wide – a remarkable 80 women continue to act in this role, six months and more later. The Rainmakers have each embarked on a focussed six-month course covering community upliftment, personal development and entrepreneurship. They have learnt how to identify valuable resources within their communities and draw up business plans amongst other valuable skills. 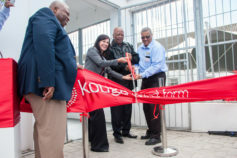 The outcome in May 2018 will be an inter-community presentation of their findings and lessons learnt and the “winning teams” may receive valuable sponsorship from Kouga Wind Farm. The wind farm also aims to develop work-related skills within their employee ‘catchment area’. One example of youth-specific skills support is the wind farm’s sponsorship of 30 candidates for the two-week Siyazenzela Youth Programme presented by the Wilderness Foundation Africa. The programme develops basic employability skills. Within a short space of time after completing the course, half the candidates had found work. Beyond the efforts of this specific wind farm, other wind farms in the Eastern Cape have undertaken similar programmes in their surrounding communities. The Jeffreys Bay Wind Farm’s Renewable Energy Scholarship Fund (RESF), which launched in 2014, funds tertiary education in fields such as electrical and electro-mechanical engineering at nine universities around the country. 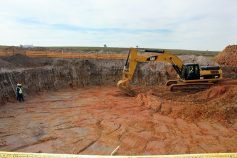 In a collective effort, members of the so-called Coastal Six, a string of wind farms based in the Eastern Cape, work collaboratively to strengthen the impact of beneficiary funding. Given that a significant proportion of the surrounding communities within the 50km radius scope overlap for these six wind farms, they also work together to remove the duplication of efforts, share ideas and lessons learnt, and seek to speak with a united voice. 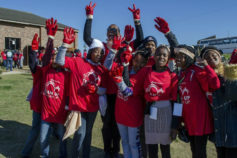 This group recently put their collective support behind a public awareness programme, the PinkDrive Breast Cancer mobile unit which focused on educational and cancer diagnostics services for both women and men in the communities of Jeffreys Bay, Humansdorp, Sea Vista, Clarkson and Kareedouw. The Department of Energy reported in 2016 that IPPs had exceeded their procurement commitments by 27% and created over 26 000 jobs, of which 47% are occupied by youth and women in rural areas. 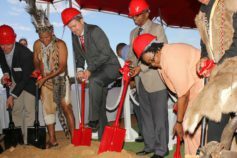 Wind projects have committed over R92 billion of economic development expenditure into surrounding rural communities as well as allocating 31% of shareholding to Black South Africans. Some of the greatest socio-economic development impacts are focused on the education sector, as IPPs fund salaries and bursaries to grow the number of rural teachers, support the implementation of rural literacy, mathematics and science programmes, create scholarship programmes and partner with local education departments to provide other much needed resources. This focus also aligns with the NDP, which singles out education as a critical building block for development, as it plays such a crucial role in creating inclusive societies. In anticipation of a steadily growing SA wind industry, at the Cape Peninsula University of Technology, the South African Renewable Energy Technology Centre (SARETEC) is training wind turbine service technicians for a market which is predicted to boom once the national renewable procurement programme resumes. These are all examples of the measurable differences the carefully crafted Implementation Agreement requirements have made in the areas of skills for South Africans – in rural communities and in the lives of wind-power plant employees. As Ndube says, “the people part” of their work is something that is close to their hearts, and their passion for this work in rural areas shines through.